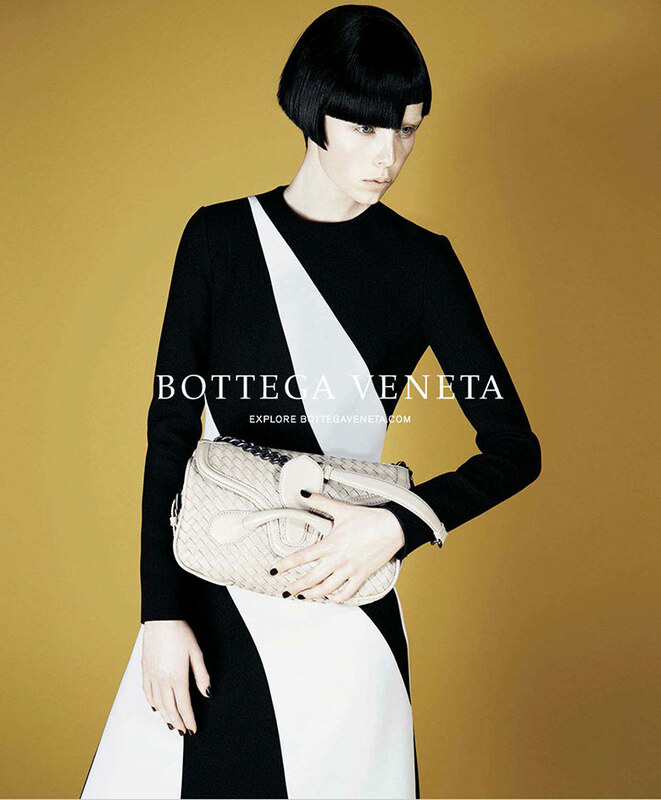 Edie Campbell is captured by David Sims for the Bottega Veneta Fall/Winter 2014/2014 campaign. 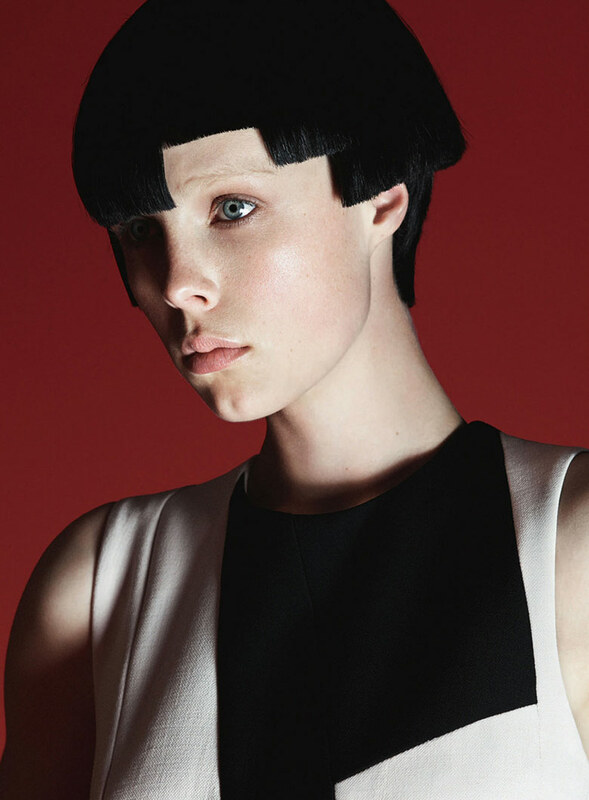 The Italian fashion house is presenting its new face for their latest campaign to be the British Edie Campbell. 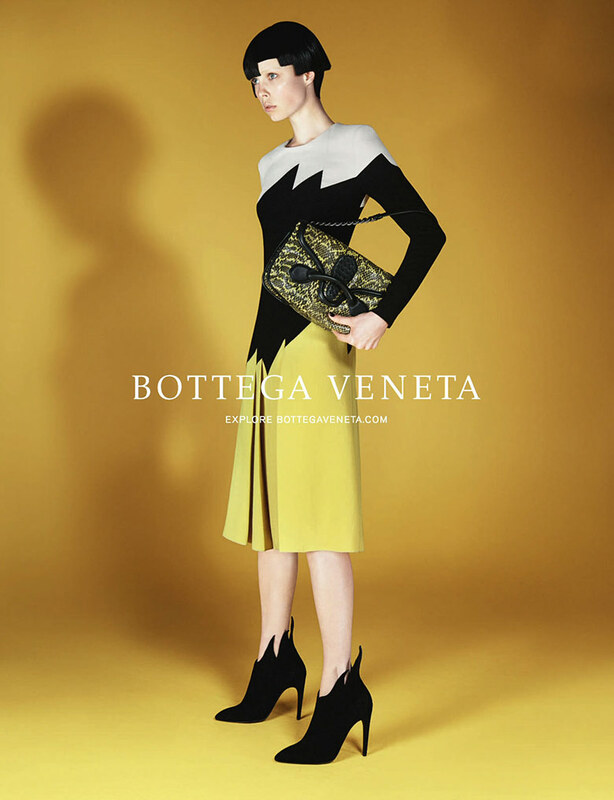 Posing in front of red and yellow backgrounds, Edie is seen in bold graphic printed pieces signed Bottega Veneta. Dresses, knitted jumpers and knee-length skirts are matched with bold heels and oversized shoulder bags. Compared to the brand’s spring/summer 2014 campaign, which was framed by Pieter Hugo and set in the summery nature, Sims’ ad is the complete opposite regarding its approach. 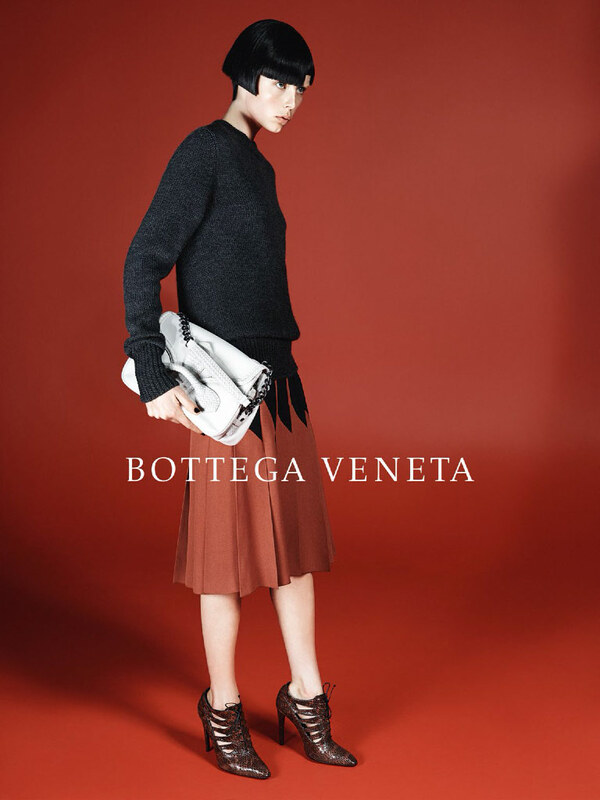 From last season’s warm colors and softer fabrics to this years minimalistic clothing aesthetic and studio frames, Bottega Veneta is reinventing themselves and we can’t wait to see what will be next!